New discoveries can let tp better treatment. Lets hope this keeps moving in the right direction. “A group of researchers at Osaka University in cooperation with the Japan Synchrotron Radiation Research Institute (JASRI), succeeded in elucidating the secondary structure of Lewy bodies in the brain of Parkinson’s disease patients for the first time with synchrotron Fourier transform infrared micro-spectroscopy (FTIRM). 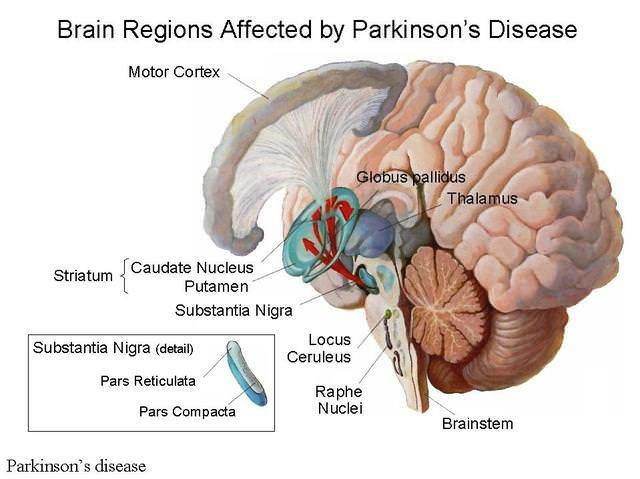 Lewy bodies had been considered to be a key element of pathogenesis for Parkinson’s disease. Although structural analysis for Lewy bodies with an electron microscope had been performed, it had no secondary structural information of proteins, which is important for the development of drugs. In recent years, many researchers have focused on new treatment to inhibit the formation of abnormal protein aggregates, which can delay the onset and progression of Parkinson’s disease. The results and methods of this research may provide important clues to the development of epoch-making treatment for Parkinson’s disease.